Astronauts in space see the world differently than the rest of us, and at no time is that more apparent than when monster storms whirl across the ocean and threaten human civilization. Irma was a Category 5 storm as of Tuesday with maximum sustained winds of 185 mph. Some gusts have exceeded 215 mph, making it one of the most powerful Atlantic hurricanes ever recorded. Below is a video of the tempest that NASA just recorded using cameras positioned outside the ISS. A few seconds into the video, one of the cameras zooms in on the eye of the hurricane. Meteorologists say Irma's eye has a taken on a "stadium effect" because its eye-wall of clouds towers so high. 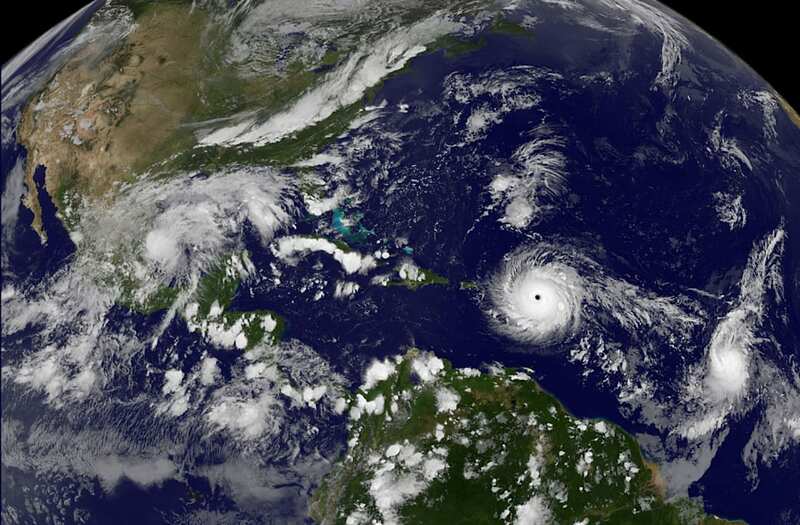 Irma, which the National Hurricane Center has called "potentially catastrophic" storm, appears to move quickly, though it's really the space station that's in motion: The ISS orbits Earth at a speed of about 17,500 mph to stay in continuous free-fall around the planet some 250 miles above the ground. Space station cameras tooled around to keep Irma on-screen in the nearly 5-minute-long clip. Yet Irma, which was more than 400 miles wide at the time, seems to barely fit inside the frame. Irma is expected to begin hitting Puerto Rico Wednesday night, move into the Dominican Republic and Haiti on Thursday morning, and head to Jamaica Friday morning. Florida and Cuba could see the storm by the weekend, but that's too long from now for weather models to accurately predict Irma's location or strength at that point.